Ginseng is a great skin conditioner and invigorator when applied topically. The fine particle size of baking soda makes a great, gentle exfoliant. 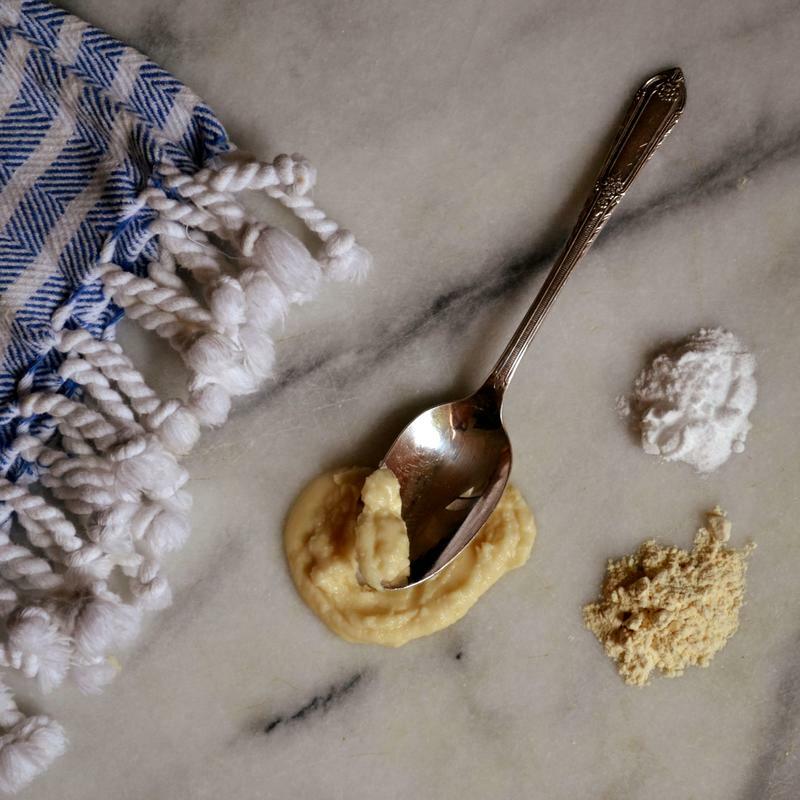 In a small bowl, add ginseng powder and baking soda, and stir together. Add water slowly, one quarter teaspoon at a time, mixing as you go, until you get a thick paste. On cleansed and slightly moist skin, apply paste to face and work it in gently with your fingers, using small, circular motions. Do this for about 3-5 minutes, and then with a clean washcloth or warm water, rinse off paste. Moisturize as usual. Read Alex’s blog post about the benefits of ginseng!